We were just recently introduced to a company called Northwest Treasures. They offer homeschool geology curricula and fossil kits for grade PreK-12. 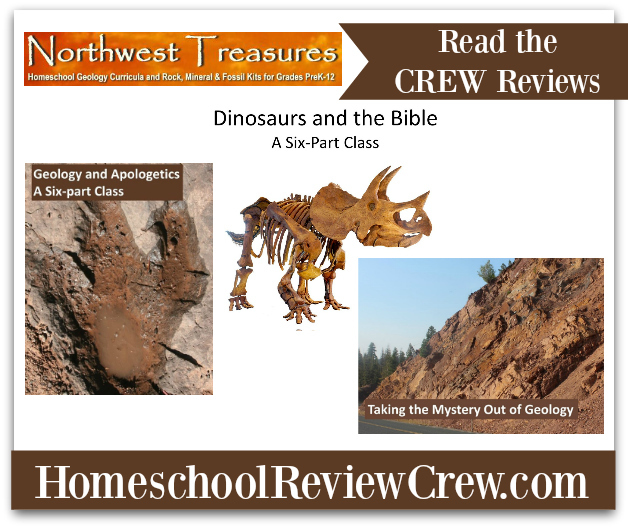 We got to review two of their online courses Taking the Mystery Out of Geology and Dinosaurs and the Bible. 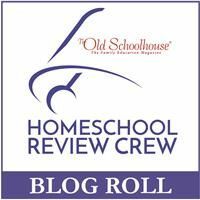 Other Homeschool Crew member received Geology and Apologetics. Northwest Treasures started out by taking unusual items to homeschool conventions when they realized people wanted to know more about the science behind the treasures so they expanded to rock kits with books. Now they offer physical courses, field trips, high school curriculum, as well as Geology for "Little Eyes" for preK-3 grade. We accessed our video content on Vimeo. It was very easy to use. We were given a promo code to use directly on Vimeo and then we can access all of our videos there on iOS, Android, Apple TV, Roku, and Chromcast. You will need internet access and we didn't have any trouble with the video quality. 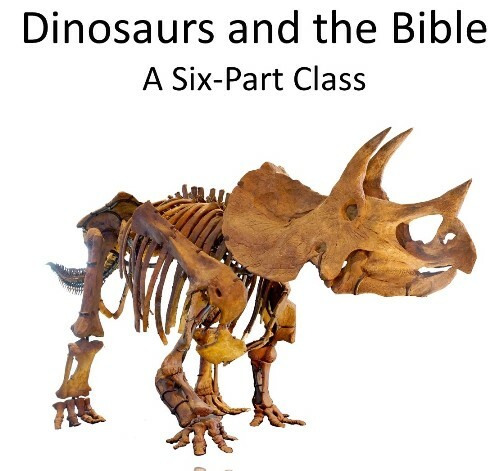 Dinosaurs and the Bible is a six-part class recommended for grades 5 through adult and comes with worksheets and answer key for each lesson as well as an exam at the end of lesson 6. There is also an optional dinosaur fossil kit that can be purchased separately to make your study even better. You will discover what the Bible says about the dinosaurs, learn when they lived, and how they died out. The six video segments last from 16-21 minutes. Each Lesson video is given by Patrick Nurre. He believes in the Bible and a young earth and includes this information in each segment. While Patrick is speaking we see slides of maps, fossils, charts, and anything that shows what he is talking about. I didn't pay attention to how many in any of the lessons, but some of the pictures were taken by Patrick. 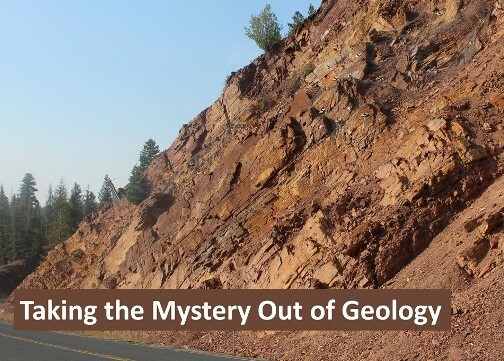 Taking the Mystery Out of Geology is a short 20-minutes class given by Patrick Nurre. It will help you understand geology from a Biblical perspective and how the flood and the Ice Age come together. There are vocabulary words to learn that will help you understand the science of geology. My girls and I learned about dinosaurs together by watching each lesson. We learned the history of how we view dinosaurs today and how they are classified today by scientist and how they should be classified with the Bible. We also learned about biblical and secular ideas for the disappearance of the dinosaurs. And of course, we got to look at the Genesis Flood and the Ice Age and how that affected the dinosaurs and the fossils that were left behind including the soft tissue discoveries. We chose to answer the questions included on the worksheet together out loud. 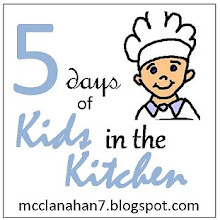 Each worksheet asks questions pertaining to each lesson. Although my girls aren't really interested in geology they do like dinosaurs and liked learning more about them. Patrick does a great job presenting each lesson and you can tell he is very knowledgeable on the subject. 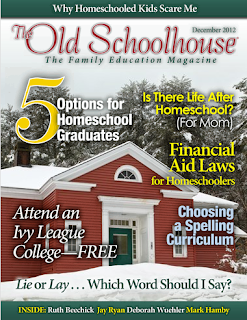 If you plan on studying geology, apologetics, or dinosaurs in your homeschool or just want to further research your own interests Northwest Treasures is a great place to find resources for the entire family.